When Doug Mack picked up a 1963 edition of Europe on Five Dollars a Day, he stumbled on an inspired idea: to boldly go where millions have gone before, relying only on the advice of a travel guide that's nearly a half century out-of-date. 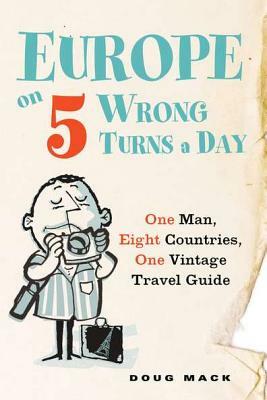 Add to the mix his mother's much- documented grand tour through Europe in the late 1960s, and the result is a funny and fascinating journey into a new (old) world, and a disarming look at the ways the classic tourist experience has changed- and has not-in the last generation. After a whirlwind adventure spanning eight countries-and costing way more than five dollars a day-Mack's endearing account is part time travel, part paean to Arthur Frommer's much-loved guide, and a celebration of the modern traveler's grand (and not-so-grand) tour. Douglas Mack has written for the Minneapolis Star Tribune, San Francisco Chronicle, WorldHum.com, and other publications. He is based in Minneapolis with a digital home at www.douglasmack.net.